If you dropped £300,000 on a watch, you’d probably be wanting something pretty eye-catching, no? 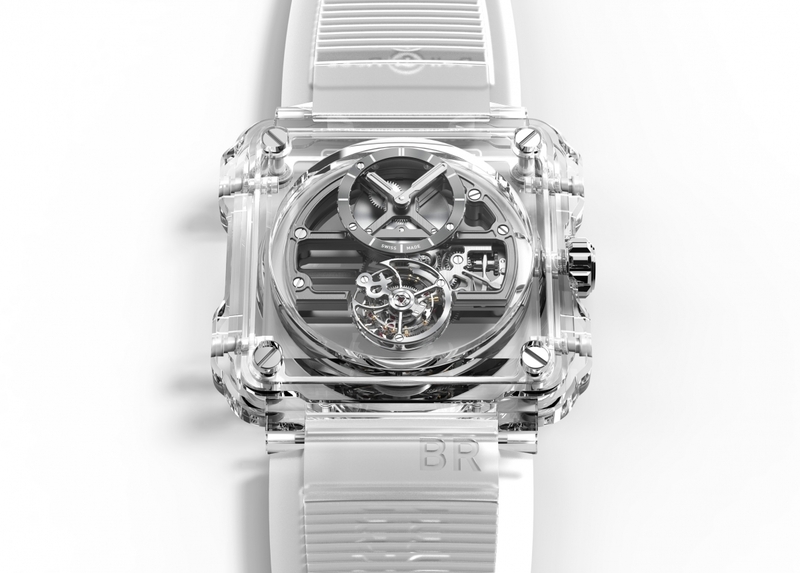 Well, despite its transparent appearance, the Bell & Ross BR-X1 Skeleton Tourbillon Sapphire may just be the timepiece for you. “A transparent watch? That’s hardly going to grab people’s attention!” Well, actually, it just might. 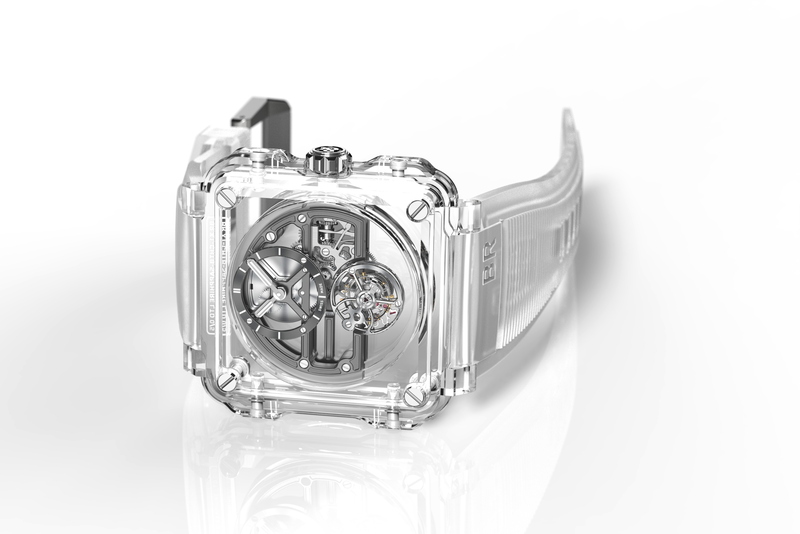 After all, how many other transparent crystal-cased watches do you know of? 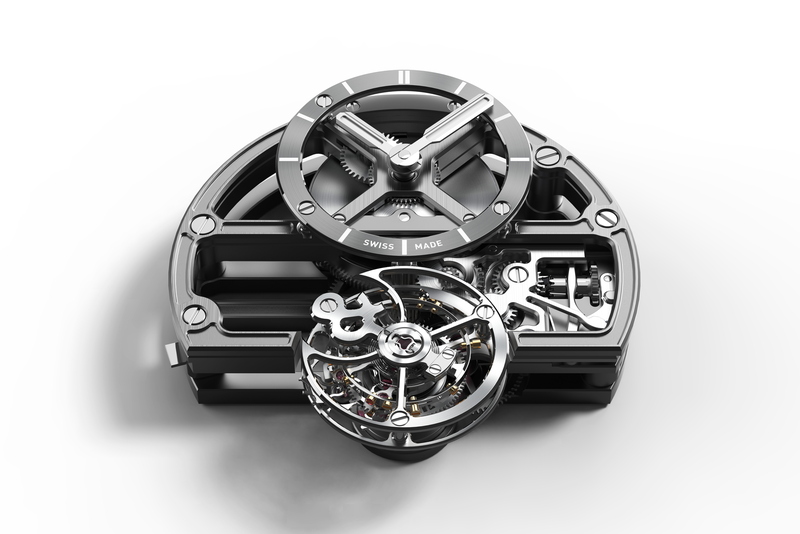 Let alone one that houses a hugely desirable tourbillon movement? Created as a follow-up to the similarly see-through Chronograph Tourbillon Sapphire, the new Bell & Ross BR-X1 Skeleton Tourbillon Sapphire takes the French watchmaker’s usual military aviation-inspired design and turns it into a limited-edition piece of horological artwork. The 45mm case is crafted from five separate sapphire blocks, carefully carved into shape and held together by eight miniscule screws (four mounted horizontally, four vertically). The BR-X1’s hour counter has been repositioned off-centre and above the barrel, releasing the tourbillon movement’s cage and further helping to reveal the timepiece’s inner workings. 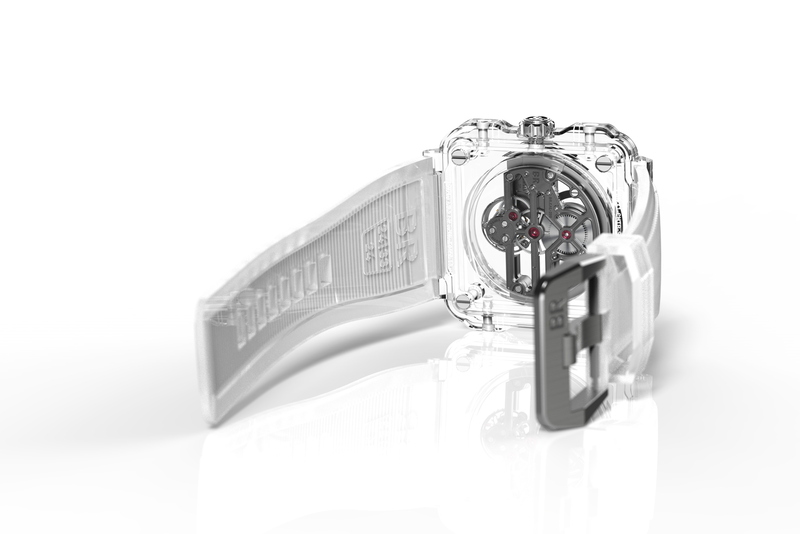 With less going on that its chronograph predecessor, the BR-X1 Skeleton Tourbillon Sapphire emphasises its minimalist aesthetic, while the movement itself appears to float effortlessly inside the intricate casing. Okay, so this isn’t going to be a hardy-do-it-all adventure watch, or even your go-to everyday timepiece but there’s very little that we’ve come across that rivals the Bell & Ross BR-X1 Skeleton Tourbillon Sapphire in terms of sheer drama.